The nearest white sand beach is just a ten-minute boat ride from downtown Davao. Samal Island offers a lot of choices- from premier beach resorts like Pearl Farm to the public beaches of Kaputian that are well maintained by the local government. Try snorkeling at the coral gardens of Talikud Island - you’ll see lot of Nemos, Dories, and other creatures in this region’s rich marine life. Head to Davao River for whitewater rafting. The Davao Wildwater Adventure offers packages worth Php2,000 per person, which includes round trip transportation from Crocodile Park (your jump-off point 30 minutes away from the city center), lunch, equipment rental, and a raft guide. For more water sports, try wake boarding at Decawake Davao in Brgy. Mintal, only 25 minutes away from the city center. Rates start at Php400 for two hours. At 9,692 feet, trekking Mount Apo, the highest peak of the Philippines, is every local mountaineer’s dream. It is home to various endemic species such as the Philippine Eagle and the Waling-waling, and to six indigenous tribes. There are many ways to reach Mount Apo’s summit but the most convenient route is through the Kidapawan trail. Take a two-hour bus ride to the North Cotabato Province to get there. An average hike requires three to four days, roundtrip. Davao is home to the country’s national bird, the Philippine Eagle and the Waling-waling, the largest of the orchid family - both considered as critically endangered species. To see these, take a forty-minute ride from downtown to the Baguio District of Calinan. 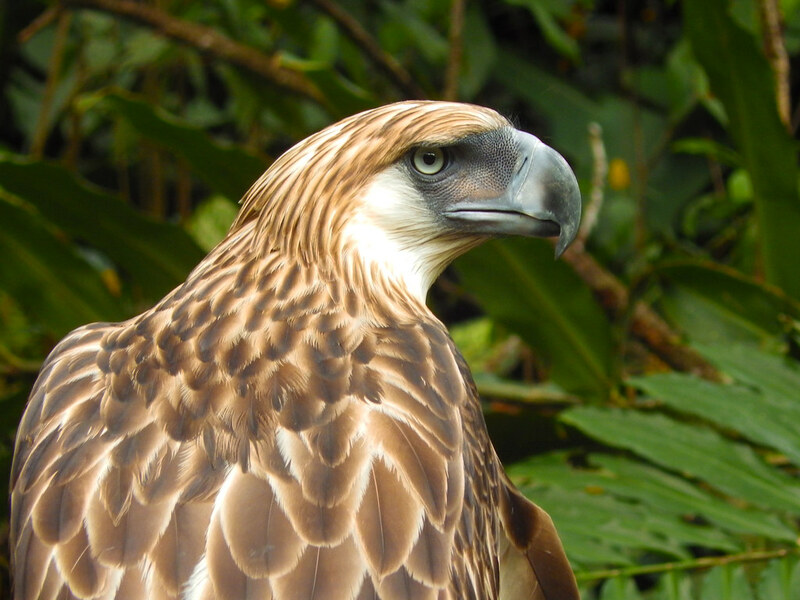 The Philippine Eagle Center has been breeding the eagles in captivity since the late 1980s. Pay a visit to the park to participate in their conservation efforts and see the eagle in all its majesty. A few minutes from the center is the Malagos Garden Resort, which houses the rare Waling-waling orchid. But you wouldn’t make the trip just to see a flower, right? The resort also has a bird park, butterfly sanctuary, and a petting zoo with farm animals like donkeys and miniature horses. Within the 12-hectare park are also pieces made by Philippine National Artist for Sculpture Napoleon Abueva. Nature and adventure mix again in Eden Nature Park. With over 100,000 pine trees in this lot, you can simply enjoy the cool climate and nice view of the Davao City and Gulf on ground, or dare to try their Skycycle, which is smilier to the experience of a zip line, except you’re pedaling on a bicycle, 100 feet high. The ride costs Php200. The park is a little over 40 kilometers from the Philippine Eagle Center. Davao’s rich history is currently housed in Museo Dabawenyo, located at A. Pichon Street (formerly known as Magallanes St.). Know more about the indigenous tribes living in the city, their traditional dresses, and how they contributed to Davao’s growth. Admission is free and the museum is open from Tuesdays to Sundays, 9 a.m.-12 p.m. and 1 p.m.-6 p.m.
Davao is known for their durian fruit so you’ll find varied dishes across the region infused with this ingredient. Try durian coffee at Blugre Coffee, one of Davao’s homegrown shops. Lachi’s, also a homegrown pastry restaurant offers durian sans rival (a Filipino cake with layers of meringue, buttercream, and cashews), which has a rich, and intriguing sweet milky taste. What are you waiting for? Davao has truly a LOT to offer because in Davao, Life is Here. This article was originally published at Mabuhay Magazine December 2014 issue, through Eastgate Publishing. Southern region of the country has a lot to offer, has a lot to explore, has a lot to discover. I've been to Dapitan several years. I went along with my fellow educators as an educational trip to the place where Rizal was exiled and we stayed at Dakak Resort,the beautiful beach in Dipolog City, Zamboanga del Norte. I won't regret why I visited that place. I went to Davao last 2011 if i'm not mistaken but never tried visiting those places. I will take note of this and make sure to try these adventures someday! I was able to visit Pearl Farm, Eden Nature Reserve and the Philippine Eagle in Davao. I hope to climb Mount Apo one of these days. Really enjoyed going through your article...I enjoyed this beautiful images as well you published here. I like to visit Davao- beautiful place and Duterte is doing his best to make it safe for tourist to visit. I haven't been to davao but it's in my bucket list and hopefully we can go there next year. Now I feel pressured to go there because you said so! Joke!!! :D I'll plan it out, and will let you know once I finally visited this beautiful place. Excited na ko! I miss Davao. I've only been there once, but it left a soft spot in my heart. Davao misses you too, Ada! Balik na! A lot had changed in Davao since you left PH. As in! OMG those Lachi's treats :(((((((((((( HUNGRY!!!! 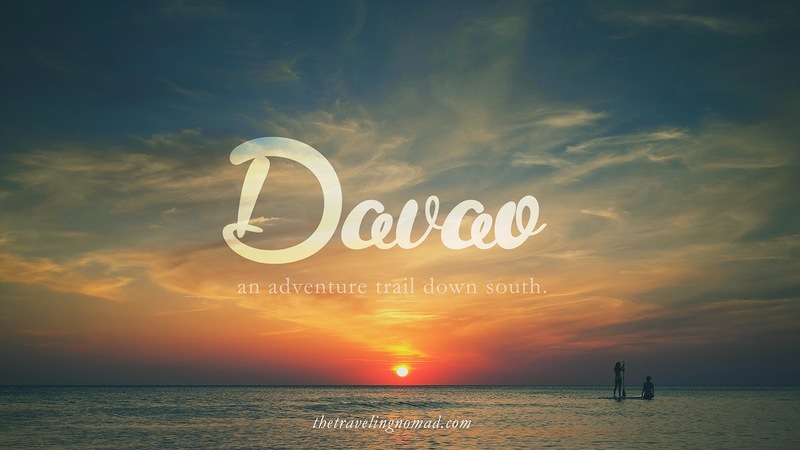 I've been to Davao and its one of my favorites. A city...that is so close to nature and definitely way better and not as crowded as Manila. People are very warm and I am proud that I've had a lot of friends in Davao. One that also amazes me in Davao are the cab drivers. Nagsusukli sila and very honest. LOL! Being here in Manila, we all get used to cab drivers you would always assume that they keep the change, sometimes they even charge higher fees. Pero kakaiba sa Davao. they are all nice and always ready to serve. Out of curiosity, I asked my friends in Davao about this. They all laughed at me, and jokingly told me "Takot lang nila kay Duterte." hahaha totoo ba yun? 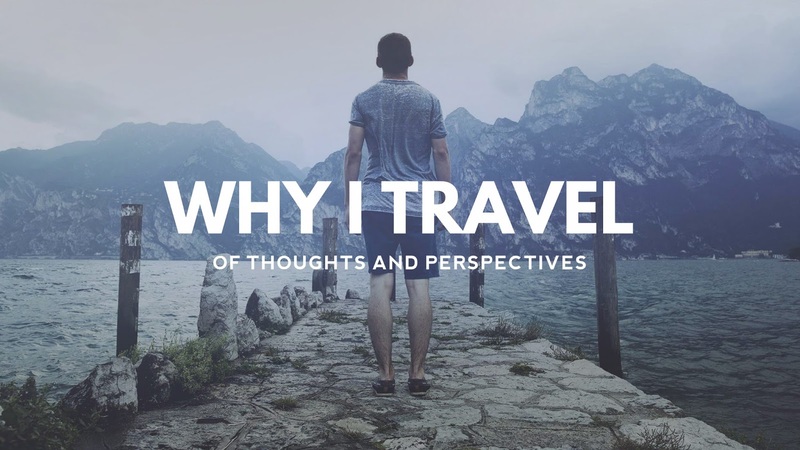 Well, after reading your post, I've realized that I still have a lot of places to explore in Davao. Been to Samal, eden, crocodile park... but missed the Phil Eagle Center and Musea Dabawenyo. Ok Noted. will be back this year.